Popular lightweight LiPo battery pack for 36V E-Bike, electric bicycle, E-Scooter, electric scooter, and general EV applications. Low Voltage Alarm (LVA) recommended for over-discharge protection. 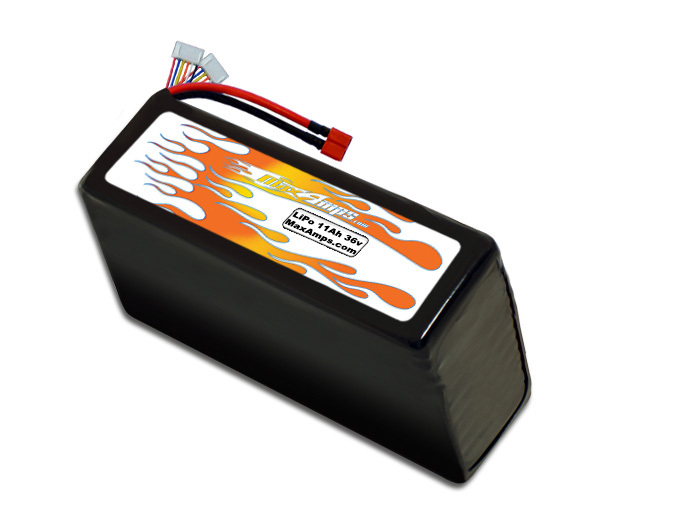 Click here to check out our 10S capable LiPo Battery Charger.